The first step is to take the time to effectively plan for the memorial service. There are many facilities and directories who request payments in advance, but think twice before proceeding. Nobody knows what the future may hold and if you have paid in advance should the business go under, there is minimal chance of getting your cash back. 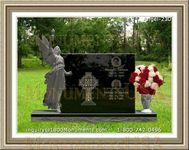 Be sure to determine the range of caskets available from a director if you are looking at a burial. There are numerous designs and materials that it can be constructed from. The undertaker should advise on the options available and the prices included for detailed arrangements. One may consider renting a casket, that will save on money and reduces your environmental impact. The body can be removed from its container to attend to the burial or the cremation service. It is considered a green option because materials are not wasted in the construction of caskets. Check as to whether the home includes its own refrigeration for the storage of bodies. If it does not provide these facilities you may be forced to cover the costs of more expensive procedures for the preservation of a deceased member. Care should be taken to consider the options available that will save time and money.